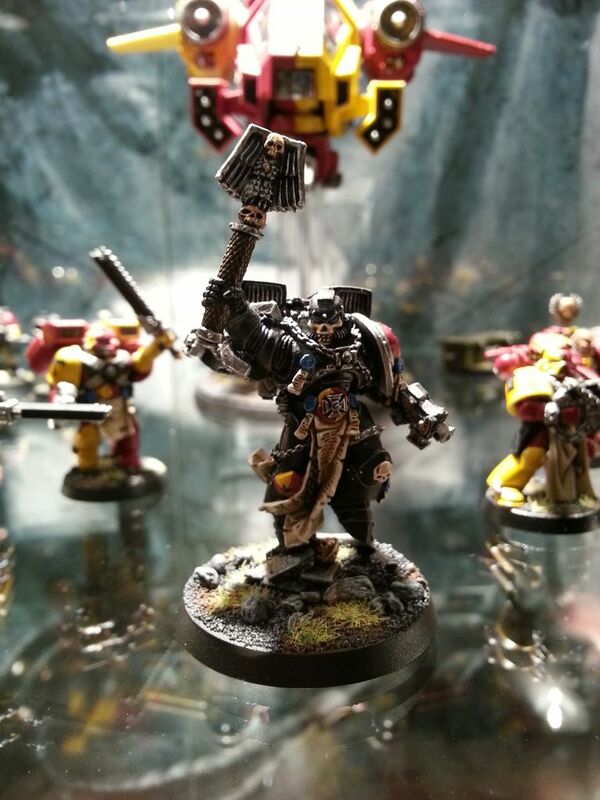 It was a different affair this year, best described as ‘smaller’ but I felt it was better for it. 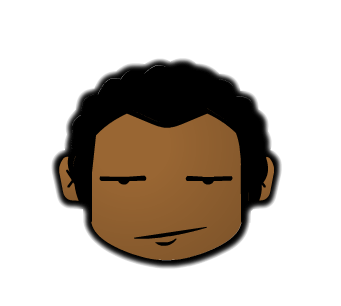 Last year was so crammed with people (and then empty later) that the whole experience felt quite unbalanced. 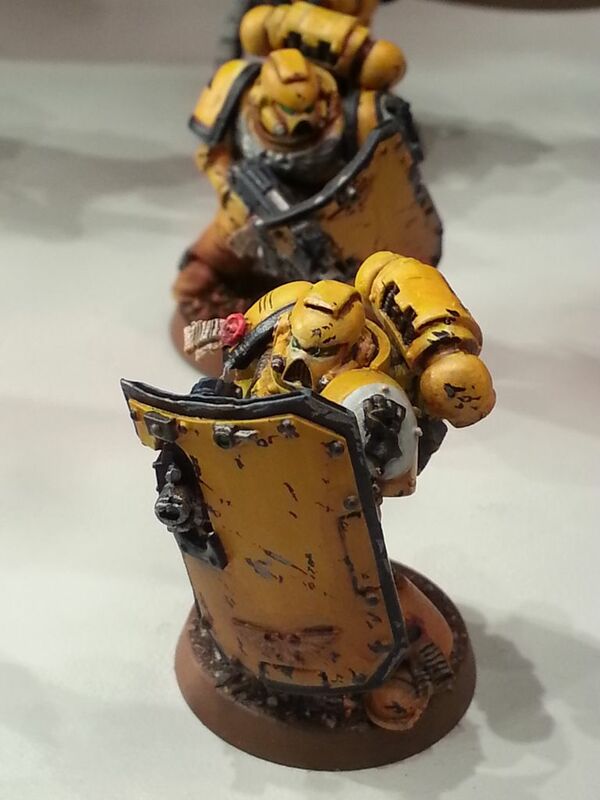 So what did I do? 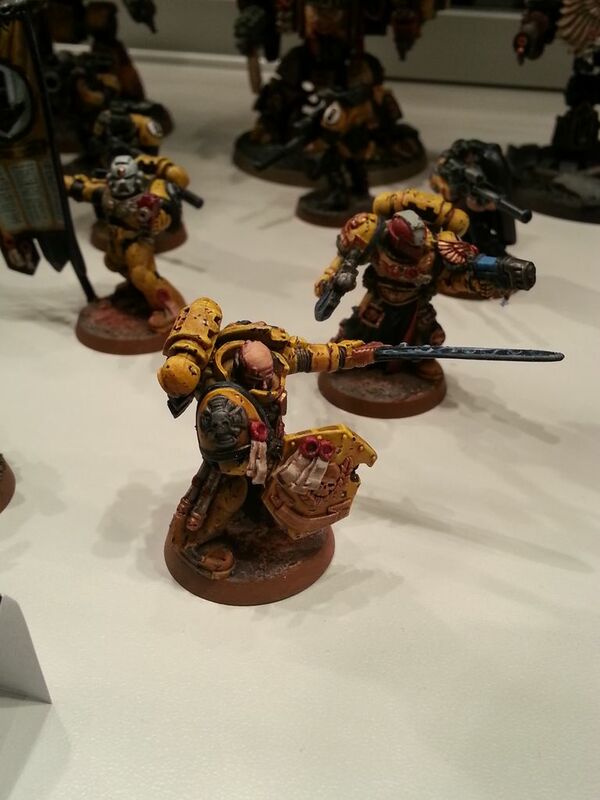 I got to see some awesome models and have a long interesting chat with the guys who designed the new Space Marines Tactical Squad kit. 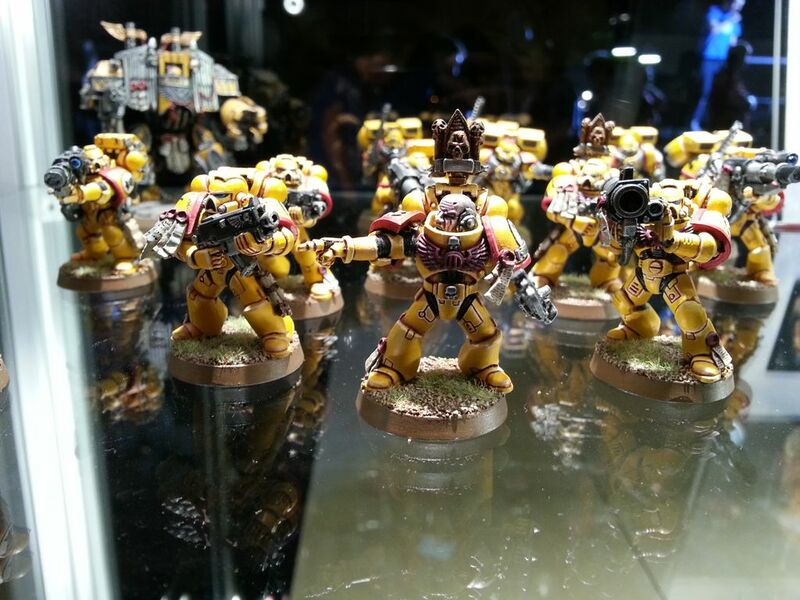 The fit and finish of the new Tactical Squad kit really shows why it’s GWs biggest seller (And goes a little to justify the price hike). 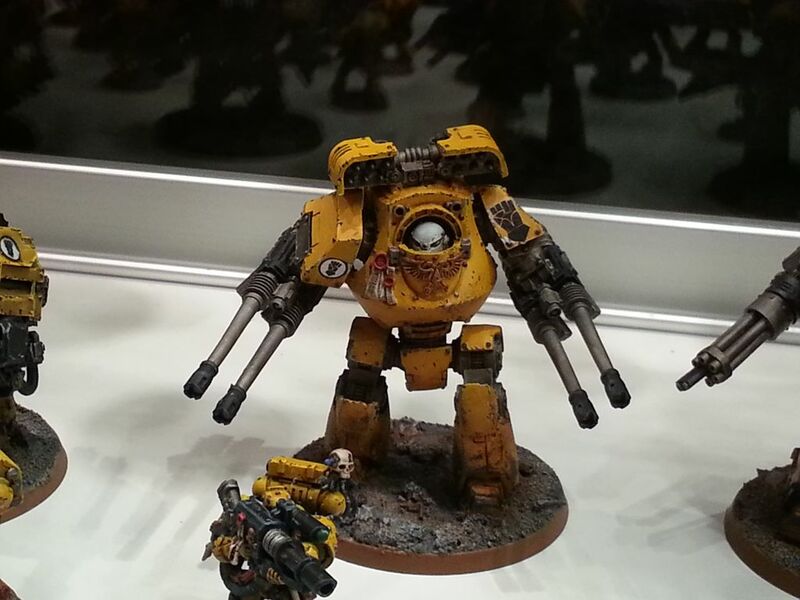 They did something special when designing it, in that it’s a completely digital kit. 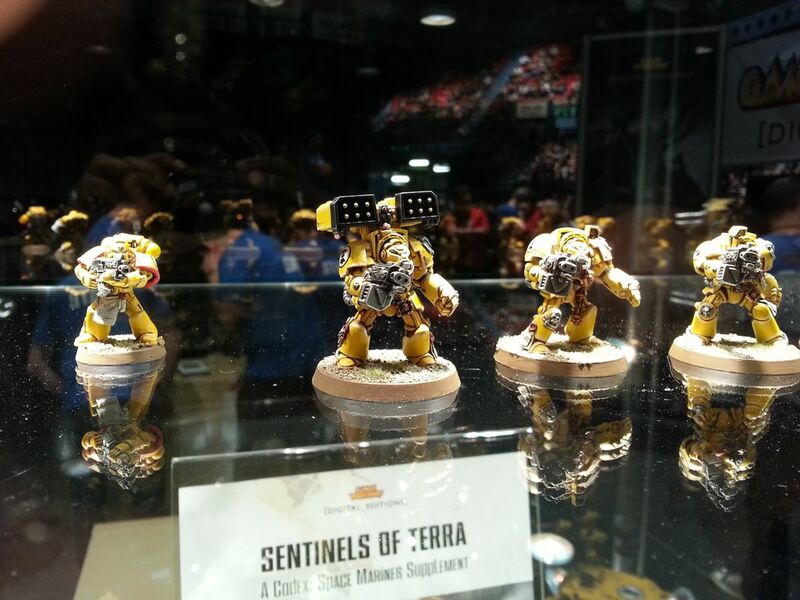 By that I mean no sculpts were made, it’s all on within a computer CAD-like design program. 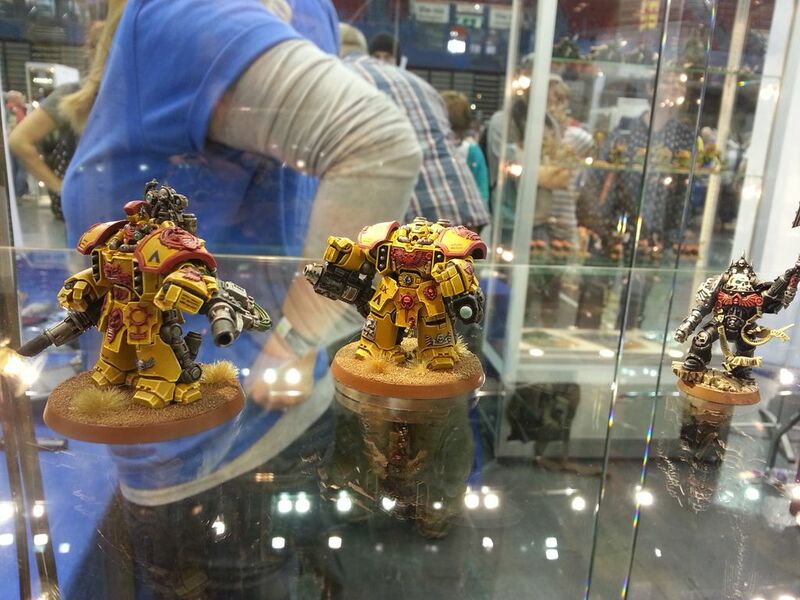 They are naturally very proud of it. 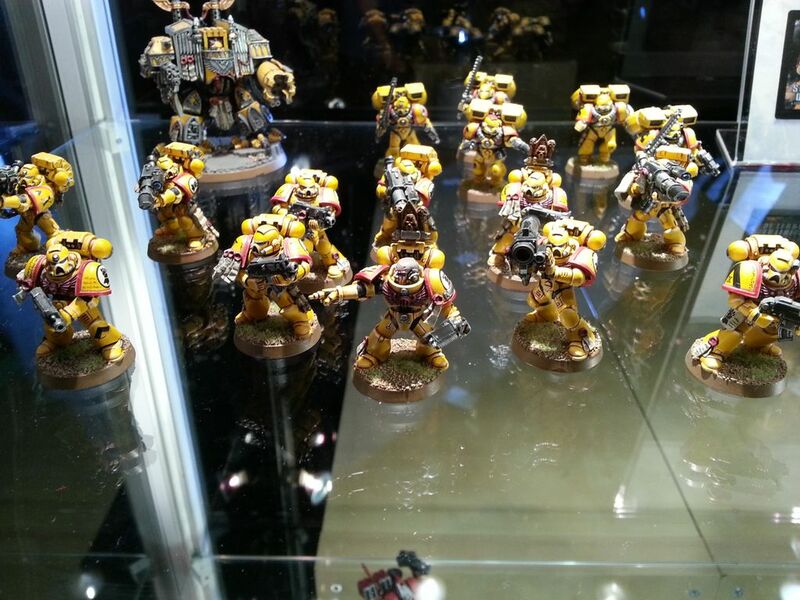 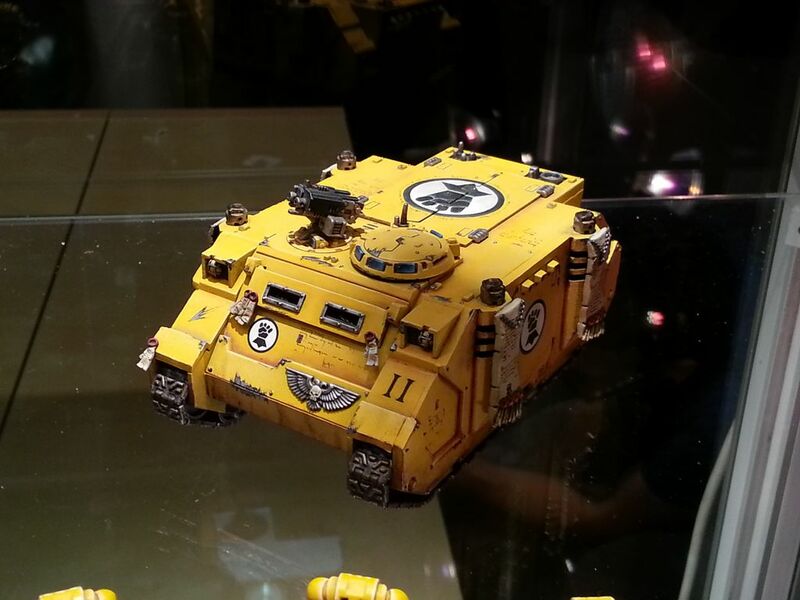 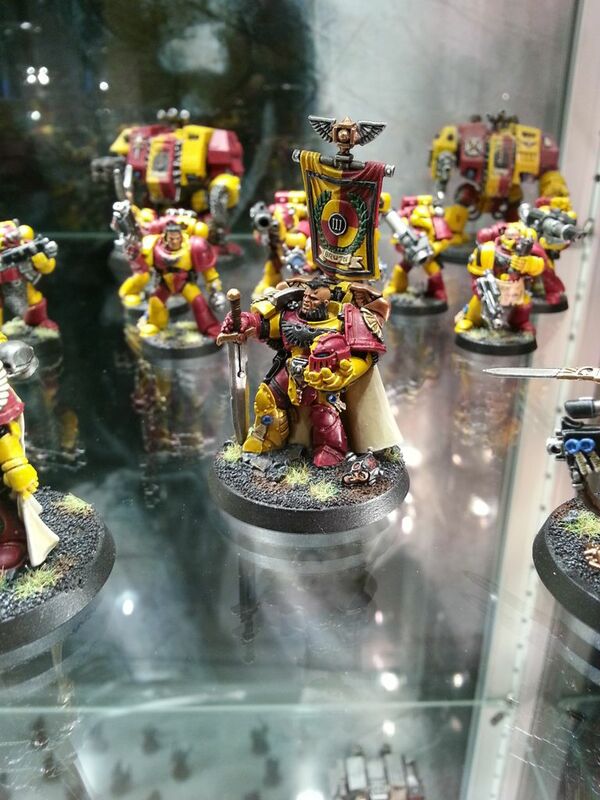 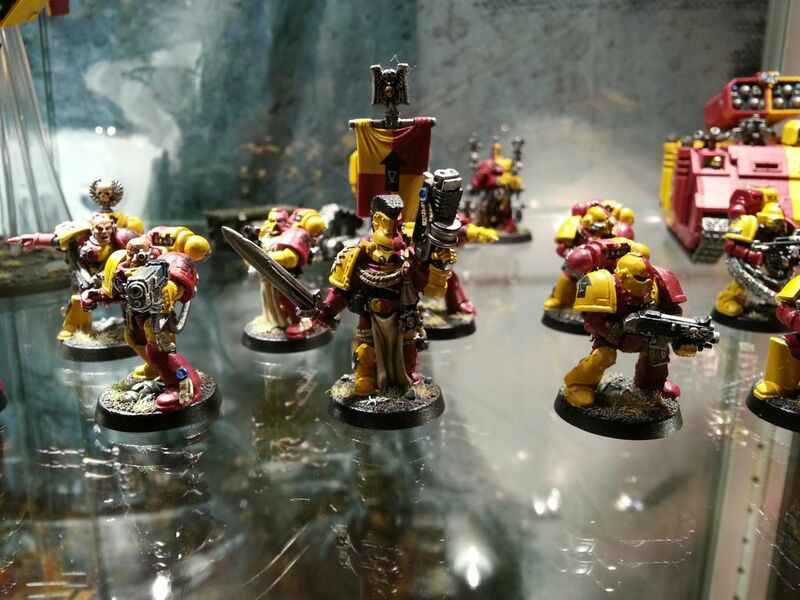 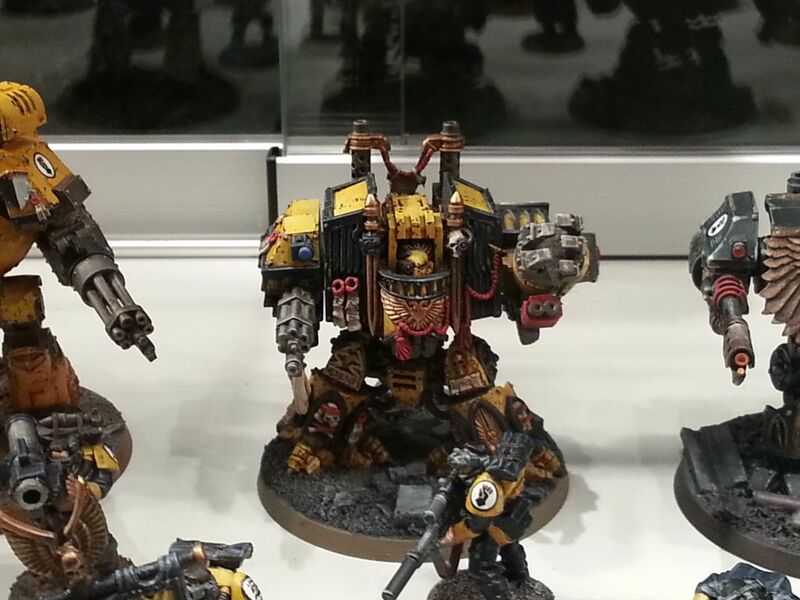 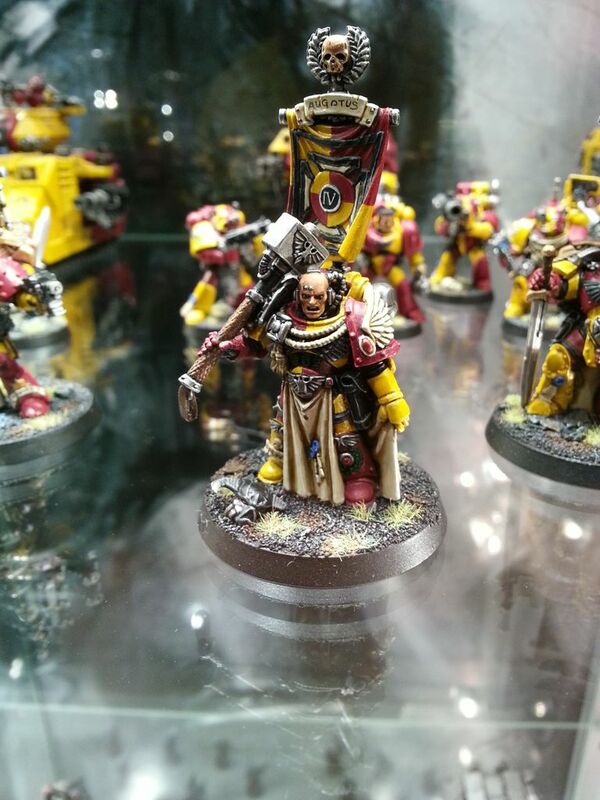 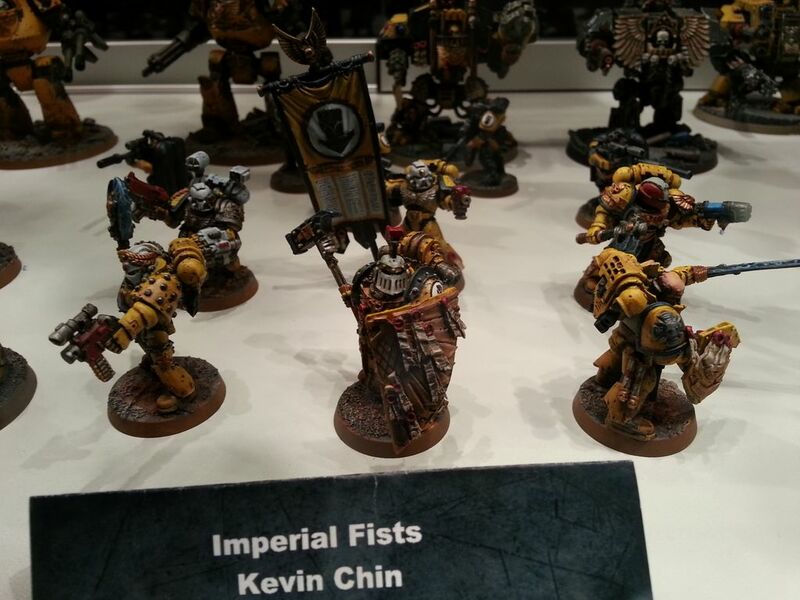 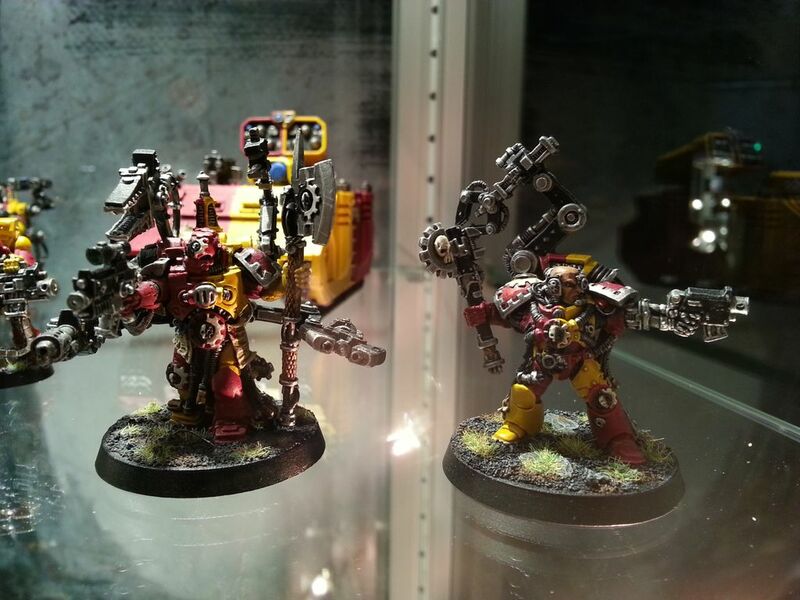 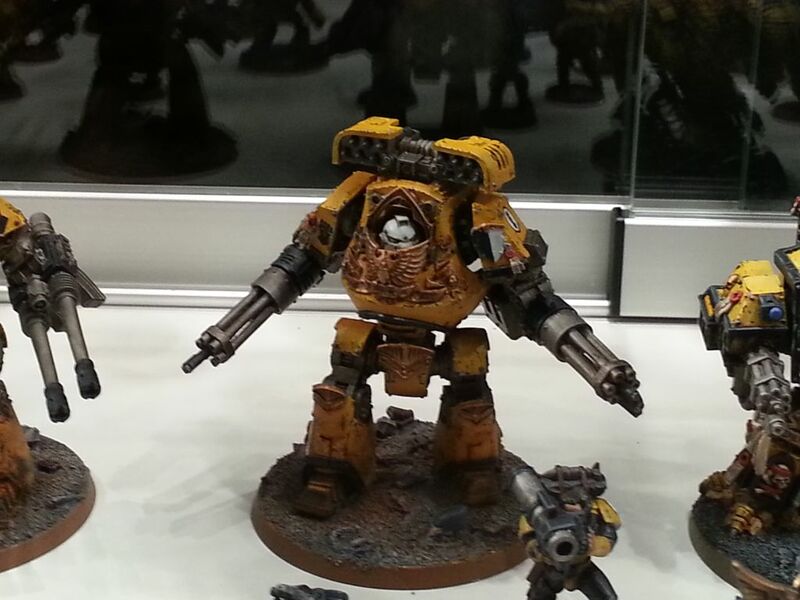 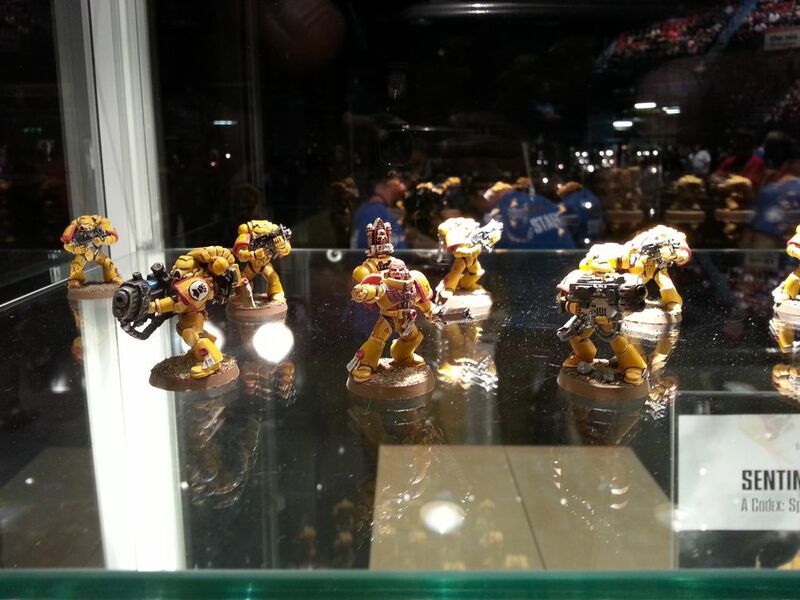 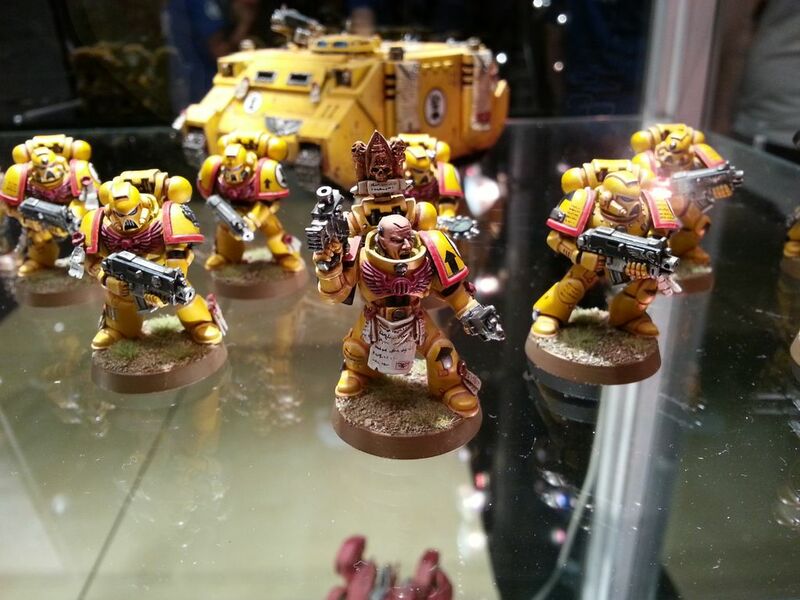 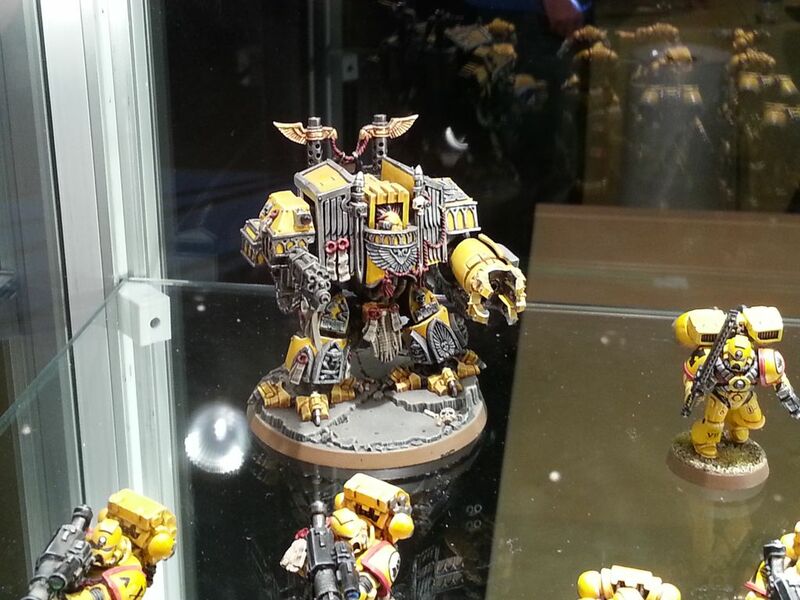 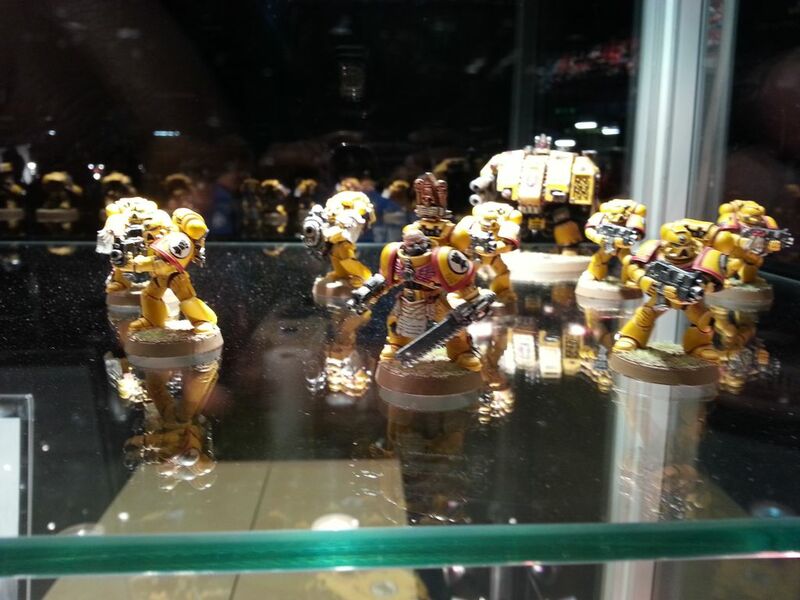 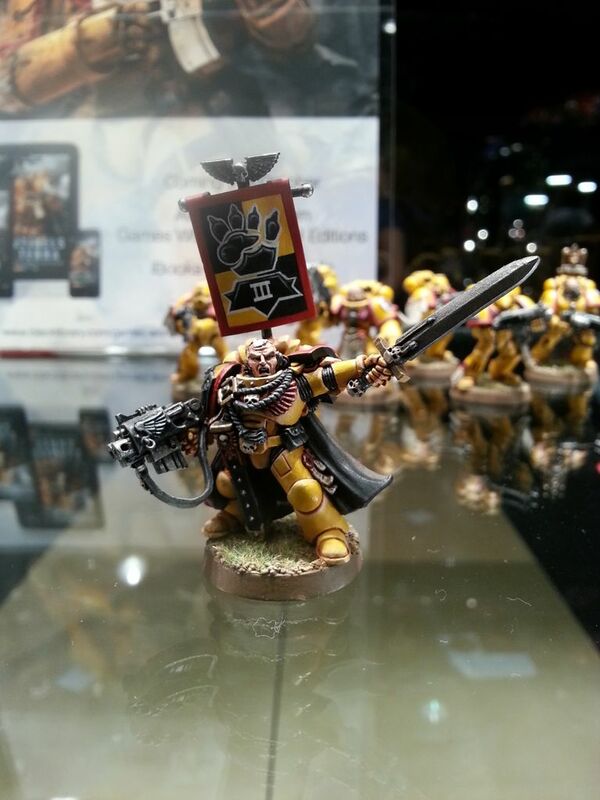 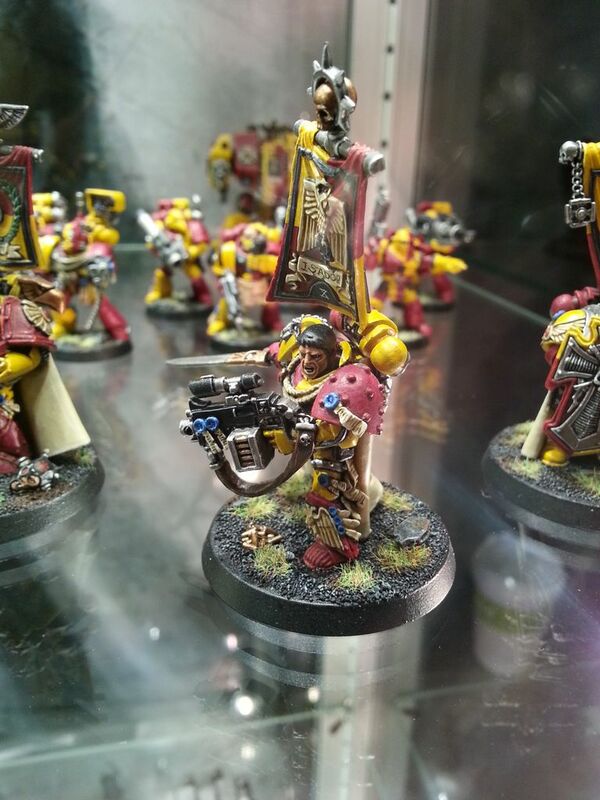 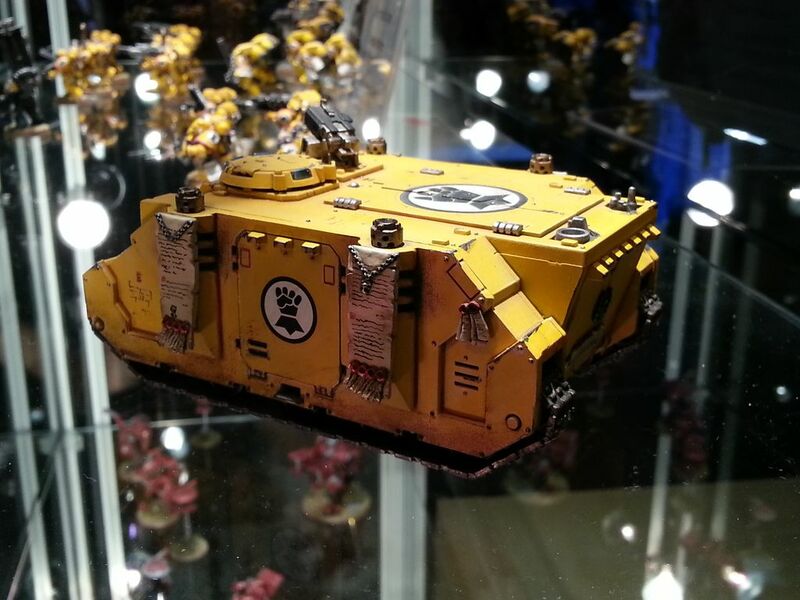 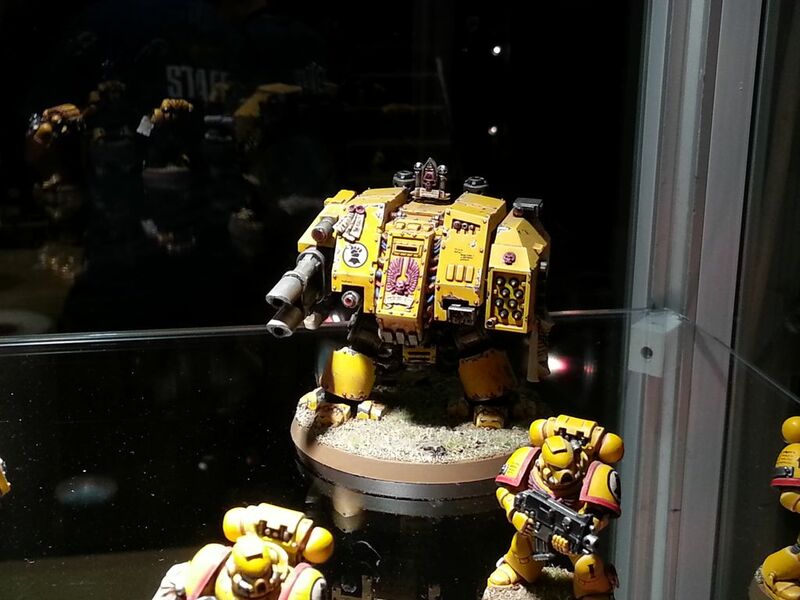 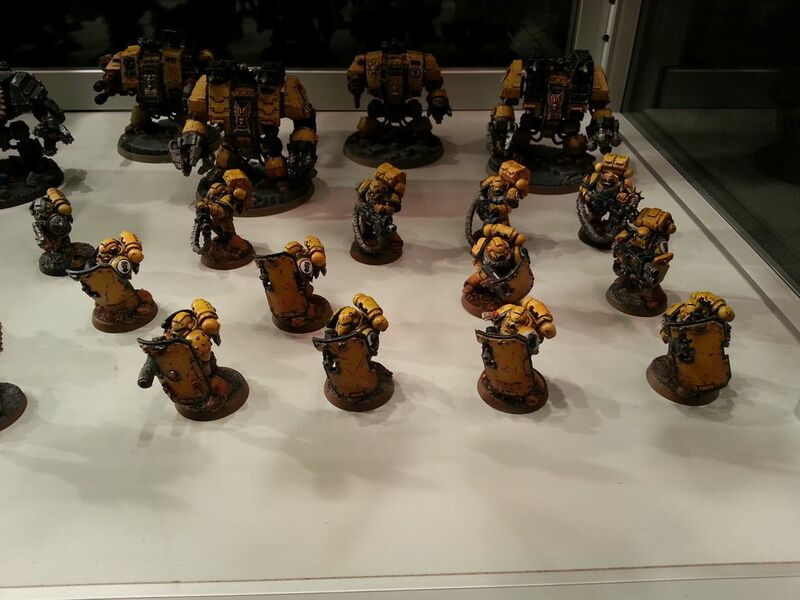 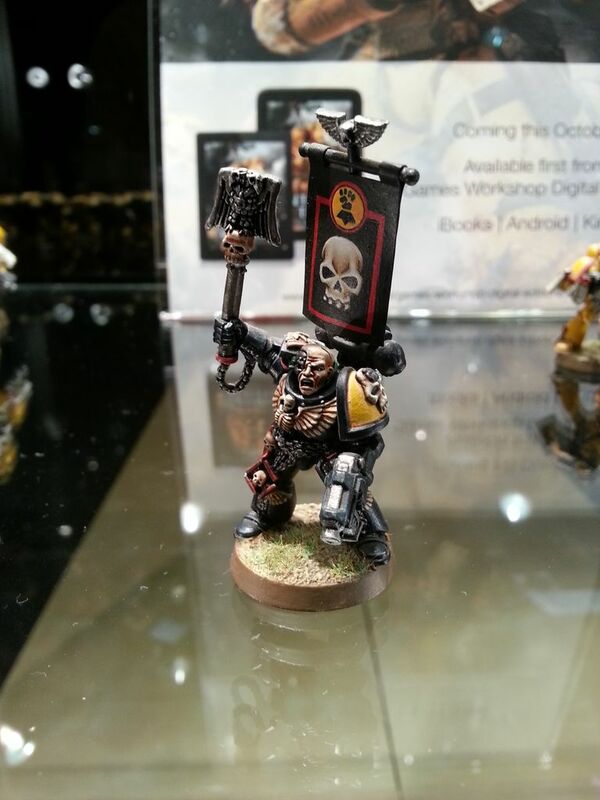 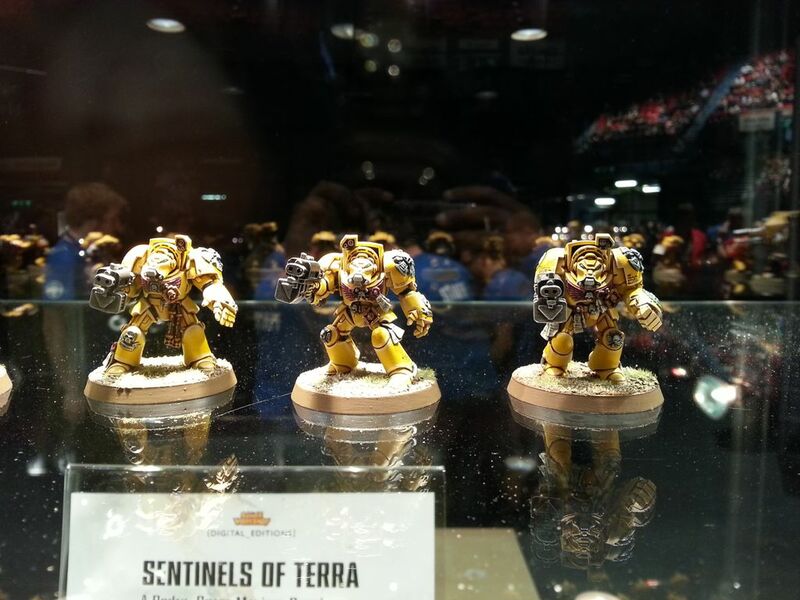 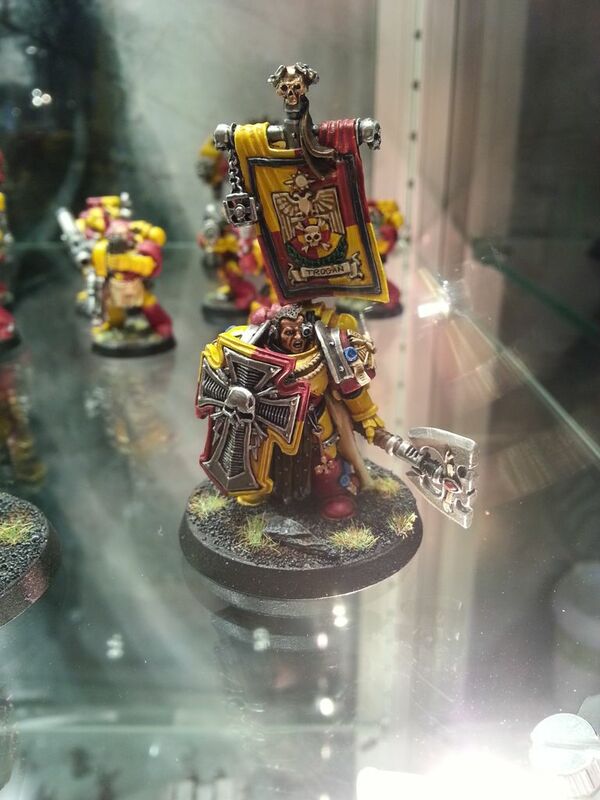 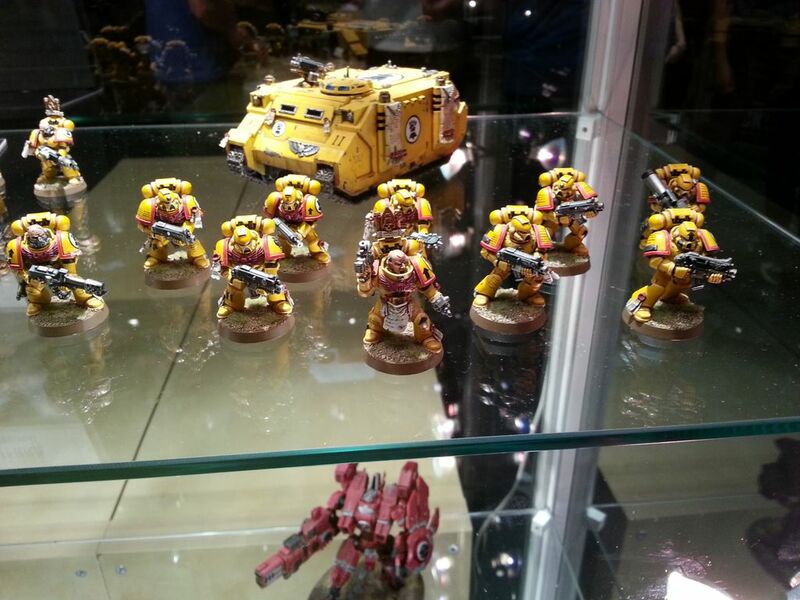 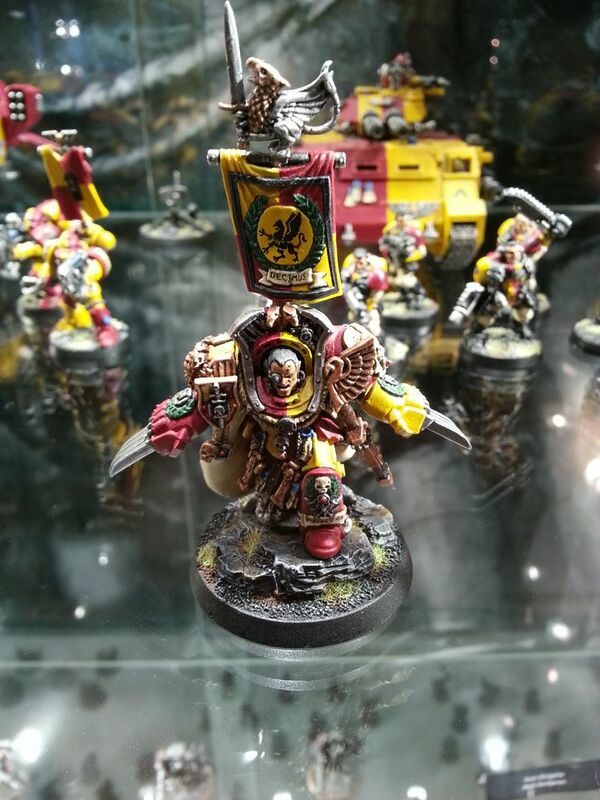 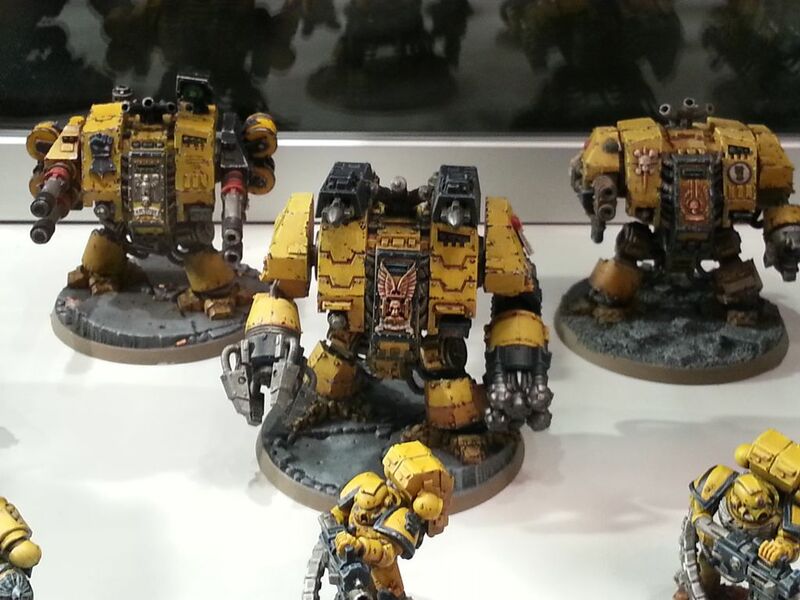 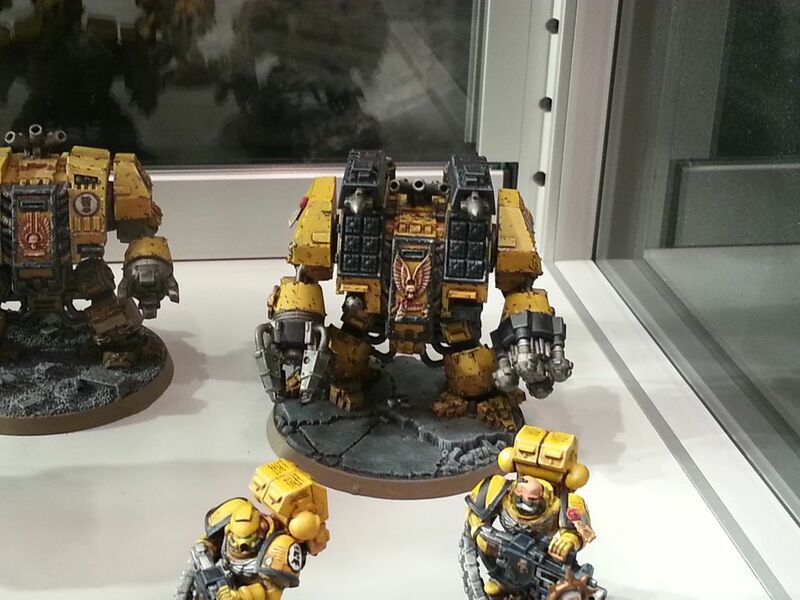 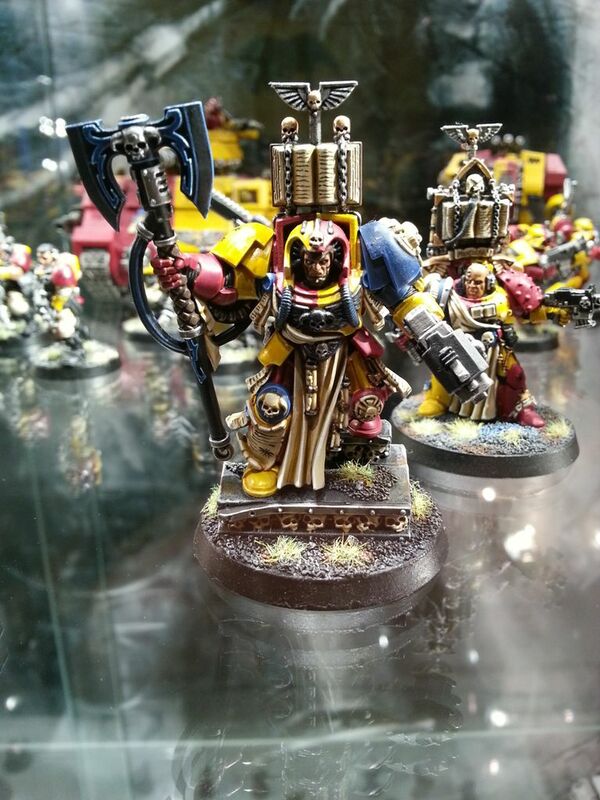 I snapped some great pics of painted Imperial Fists while I was there.